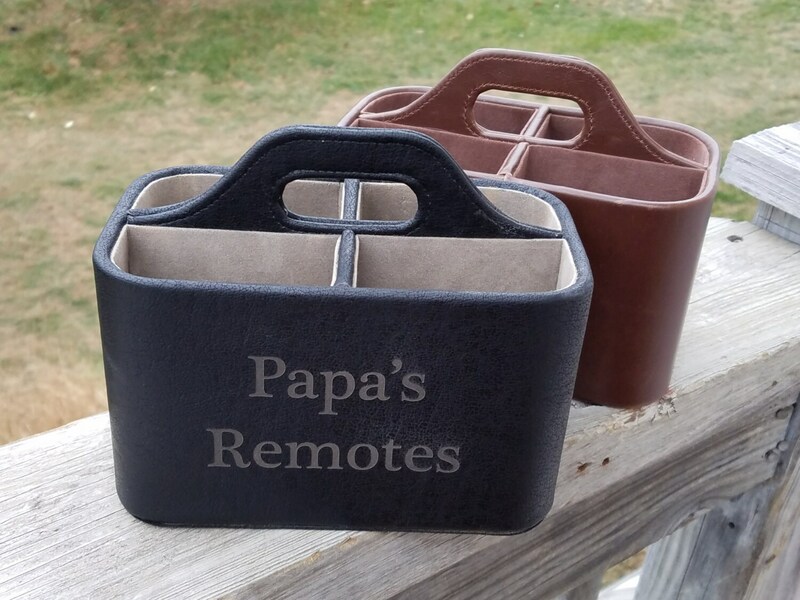 Make this beautiful remote caddy organizer a gift your grandpa, dad, brother, uncle will treasure for years to come. 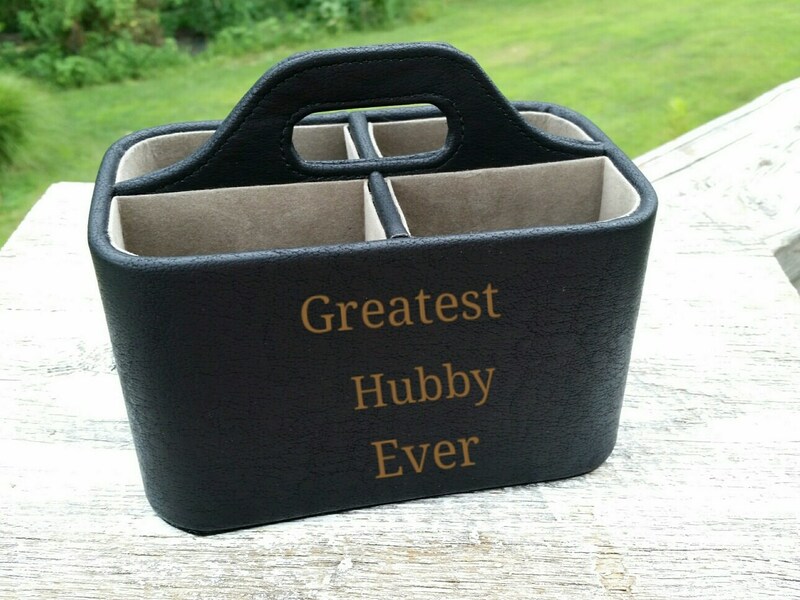 Let us custom engrave it with a special message from you to him on Father's Day, birthday or the holidays. 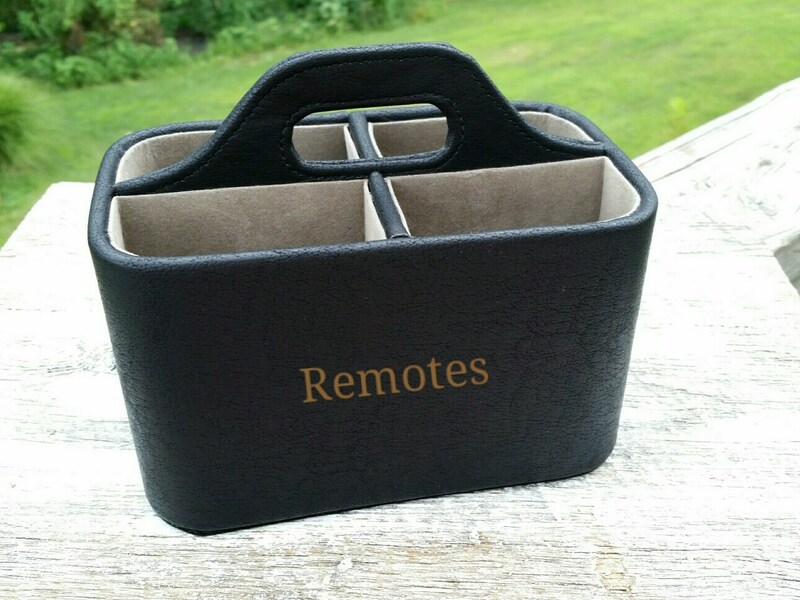 With 4 compartments this is a caddy that will help him keep organized all his remotes. It can be placed on the office table or at home in the family room, night stand or any place where you would like to keep the remotes controls in one place. Cell phones also fit nicely in either of the spaces. QTY : 1 - Brown caddy engraved with lines from the father - daughter dance son.